Comment: Leaking from the ceiling needs repair! Comment: Home is 150 years old. Porch was added on years ago and re-roofed with tin 10 years ago. Roof has been leaking for many years and now beams and sills are sagging. Possibly need entire porch roof deck replaced and pitch corrected. Comment: I have a few places on my roof that need to be looked at for just tarring. The leaks have not done any damage to the interior of my home(mobile). I am a senior citizen with a fixed income and cannot pay for the project in full. I need the least expensive, but best way to do the job. I will have to able to pay on a monthly basis, but can get my son to help me pay for the repairs. Comment: leak in the kitchen. A to Z Coatings & Insulation, Inc.
Sumter Roofing Contractors are rated 4.77 out of 5 based on 55 reviews of 5 pros. 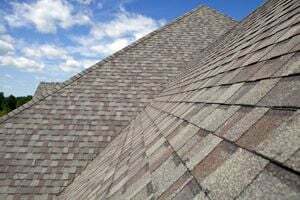 Not Looking for Roofing Contractors in Sumter, SC?